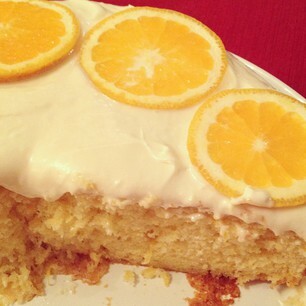 Your mandarin orange cake looks divine! 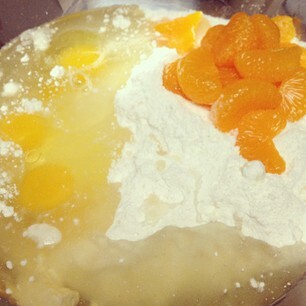 My bf baked an orange-almond cake for his birthday, but I found the ground almond too heavy. This sounds a little lighter :) Thanks for sharing! 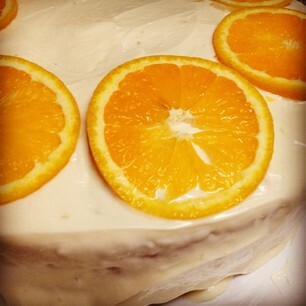 that cake does look pretty and I bet in the hot weather the citrus flavour is refreshing. Look how lovely the finished cake is! Nice job. And the most important thing is no stress and everyone loved it. I prefer citrus flavors to chocolate (I know, I'm weird), so this is appealing. That sounds like a nice,easy summer dessert. Yum! Like BFR I really love citrus over chocolate but I can't help but wonder how divine this would be with just a little tiny bit of chocolate frosting! 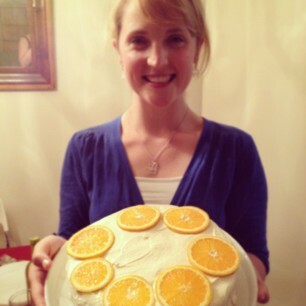 My grandmother makes a mandarin orange cake! But I've always found hers to be a little wet. Oh wow. How good would this be for a tea party? I need to start having tea parties. Lovely flavours. Have a great week. I may actually be able to pull this one off, and it sounds so frickin good. I'm always racking my brain for a good summer dessert, and this one looks like a winner. I do like citrussy flavoured cakes! Thanks for sharing yours. This looks amazing! So the whole cake mix baked in one 9" round? Would you recommend 2 boxes of mix for a 13x9, then?